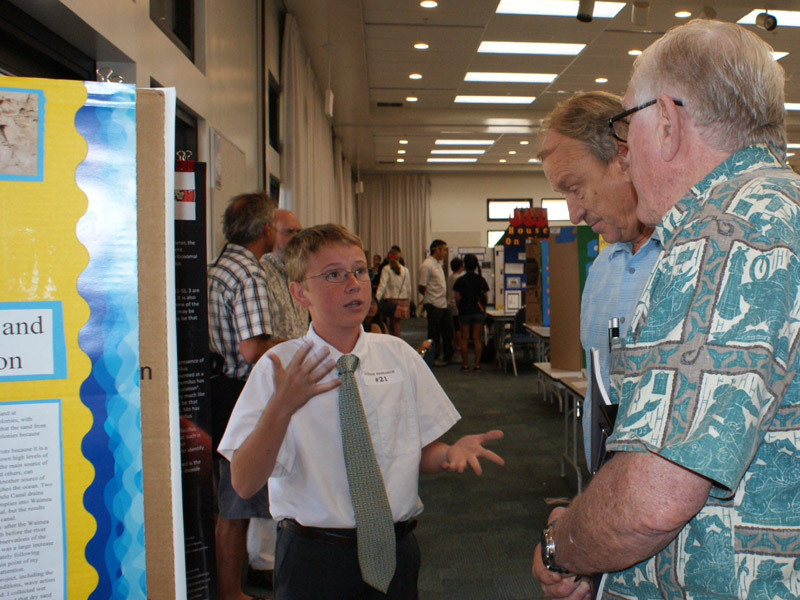 More than 200 students from 31 Windward Oahu schools will present over 160 projects at the annual Windward District’s Science and Engineering Fair. Setup begins today at Windward Community College, with judging tomorrow morning and displays open to the public in the afternoon. Winners will be announced on Saturday. This year marks the event’s 28th year, and the three-day program is organized by vice principals from schools spanning from Waimanalo to Sunset Beach. 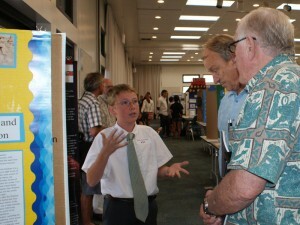 In addition to the competition, it offers sixth- through tenth-graders several breakout sessions and presentations by college professors as a way to inspire Hawaii’s future scientists. Breakout sessions include a “Gravity”-inspired exploration of life in space in the WCC Imaginarium, a review of Kilauea’s multi-year eruption, and presentations on zoology, veterinarian science, and chemistry. Organizers describe the fair as the state’s only science fair run by vice principals, and say it generates Hawaii’s largest-scale professor-student pairings, creating the most extensive college tie-in for students. 2:15-3:00 p.m.: All displays open for public viewing. Photo courtesy Jorene Barut, Communications Specialist, Windward District Office, Castle-Kahuku Complexes. What a truly great event. To see public school students sharing their learning, their hard work and their new understandings with regards to STEM is really moving. In addition, thinking about the fact that they got to learn from college professors at WCC makes this fair a one of a kind!